How Do You Solve Problems You Care About? 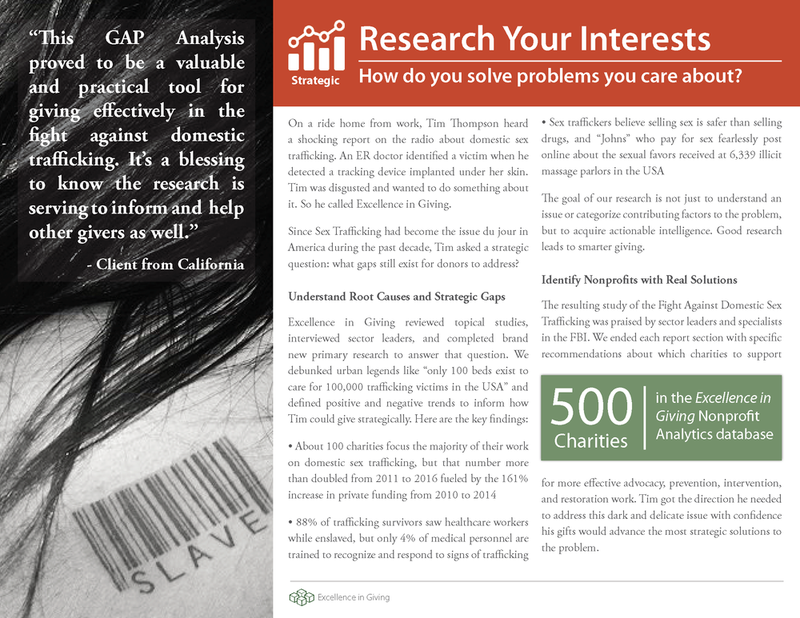 The below case study shares one example of how our Research Team's analysis, as our client states, "proved to be a practical tool in the fight against domestic trafficking". This study and others can also be found in our 2018 Performance Report.